White Rose was a start-up business in February 2011 and set up its offices within the building of its main investor. By the beginning of 2013 White Rose had grown significantly and was ready to move to its current offices in St James’s Square, London. As an E&P business, White Rose has two specific areas of IT requirement. Firstly, it has an in-house technical team who need to manage large amounts of data from a number of different sites, as well as the need for the ability to run specialist software programmes such as Kingdom and Petrel. Secondly, the company has the usual commercial requirements, such as Windows Office, its accounting software and uses Worksite as a filing system. White Rose started working with ACT Systems in the summer of 2011 via a personal referral. ACT set up the infrastructure for the original six employees and has continued to work with the company ever since as it has grown. When White Rose moved to their current office at the beginning of 2013, ACT handled the move of the complete IT infrastructure, internet connections, phone system, AV suite, structured cabling, WIFI network, comm’s room and peripherals. White Rose has had a structured growth, which has driven the requirement for constant development of their IT infrastructure to include: full Real time Server replication to ACT secure data centre for high availability; expansion of network to accommodate extended office; upgrade to high-speed fibre internet connectivity; high-end workstations and storage devices for Kingdom SMT geological software. 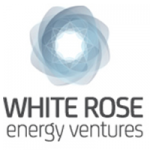 Most recently, White Rose has acquired interests in two exploration blocks in Angola which has led to increased data storage requirements. White Rose are planning to migrate their email to Microsoft Office 365 later in the year and ACT will manage this as well as giving advice on the other features of 365 which could benefit the business.